« OUR NEW WEB SITE IS LIVE! We have a small shed next to the polytunnel at the bottom of our plot, and at the moment we don’t have any electricity available, at least not within a reasonable distance. But I need some light, especially now it’s dark by 5.30pm. 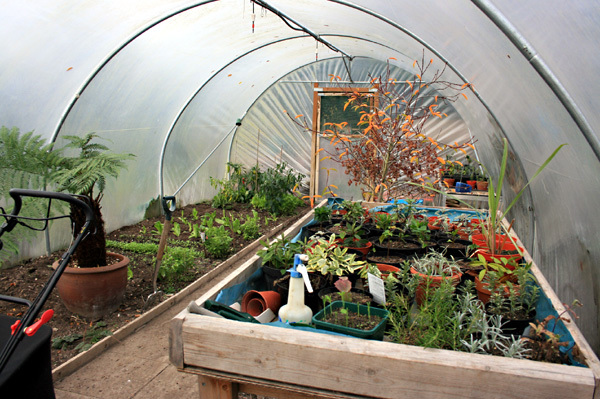 If we’re going to make the most of the polytunnel through the winter I’m also going to need some light in here as well, and a little heat would be welcome, not least to protect against the frost. 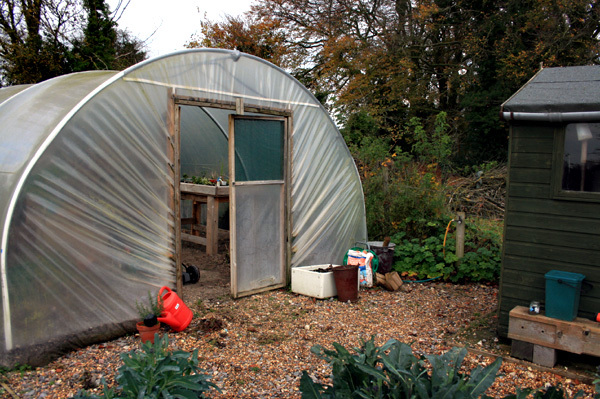 I can always protect the polytunnel with an additional layer of bubble wrap on the inside, seal one of the entrances, or maybe add a horse manure heap, which will work to an extent, but a couple of light bulbs would be welcome on a winters evening. So, I’ve been looking for a neat way to get electricity to the polytunnel that won’t involve digging a massive trench all the way to the bottom of the plot (approximately 70m ) and burying loads of rubber coated cable in my lovely garden. Having researched the various technologies it’s remarkably simple to do. But remember, solar panels start producing electricity from the moment they are facing the light so if you plan to follow us and have a go at installing your own system it might be worth asking a qualified electrician for some advice first. As with any project the first task is to sort out exactly what you want to achieve when this is all done. 1. I need a light source so I can work comfortably in the polytunnel in the dark evenings. 2. I want to generate a little heat to protect a few winter salads from the frost. 3. Provide a second light source for the shed and the immediate surrounding area. 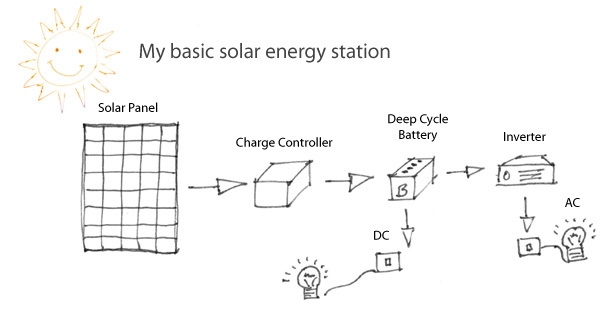 There are several mobile solar power systems on the market and each will produce a certain amount of electricity. For example, a 60 Watt system will power a couple of lights for around 2-3 hours a day, which should be ok for what I need. If I need more I’m going to have to spend more on a larger panel, or buy a second 60 Watt panel and connect it to the first one. I think I’ll start with one and see how it goes. Of course the benefit of a modular system is it can be moved to anywhere in the garden that needs power, and we can take it with us if we move, which kind of justifies the investment. The only other thing we need is sunlight, and that’s free, well at least for now anyway. As with any solar powered solution it’s largely dependent on the amount of daylight or sunlight it receives to work effectively, but if we can store the power produced on the sunniest days we stand a much better chance of making this work for us longer term. Unfortunately batteries are the only option at the moment for storing electricity remotely, which is a shame as they are not easy to recycle, but until we have an alternative they will have to do. If you buy a decent quality deep cycle battery they will last longer and so will not need recycling quite so often. 1. The Solar panel – A 60 Watt panel will provide enough power to run 3-4 light bulbs comfortably. 3. A Charge Controller, to manage the flow of electricity from the panel so we don’t burn out the battery. 5. 2 x 10 Watt low energy bulbs for the polytunnel. 6. A 10 Watt LED floodlight for the shed and surrounding area. 7. Light Switches and Cable to connect the lights to the power station. I discovered LED floodlights use a fraction of the power of conventional floodlights (88% more efficient) but still produce a really bright light. So, I think I have a solution that will work. For a small investment I’ll be producing enough power to spend a few winter evenings in the polytunnel, and who knows, maybe grow a few winter veg in the borders. This is the first part of my winter Polytunnel Power Station posts. I’ll be putting up more information as we go along and a few pictures as it comes together. Hey Sue. Firstly apologies for not responding sooner. The secret is to use LED lights which use very little power and so don’t empty the batteries too often. 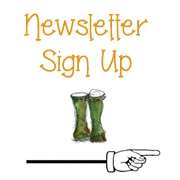 Hope this makes sense but do drop me a note to ruralgardeners@gmail.com if you’d like to know more.